Lift top cocktail tables are a fantastic multipurpose choice for any room. Not only do they serve as a great place to hold drinks and snacks when entertaining or watching TV, they also serve as a storage space, desk, and dining table! Most lift top tables have hidden storage under the table top that is perfect for storing things like blankets and pillows for overnight guests. 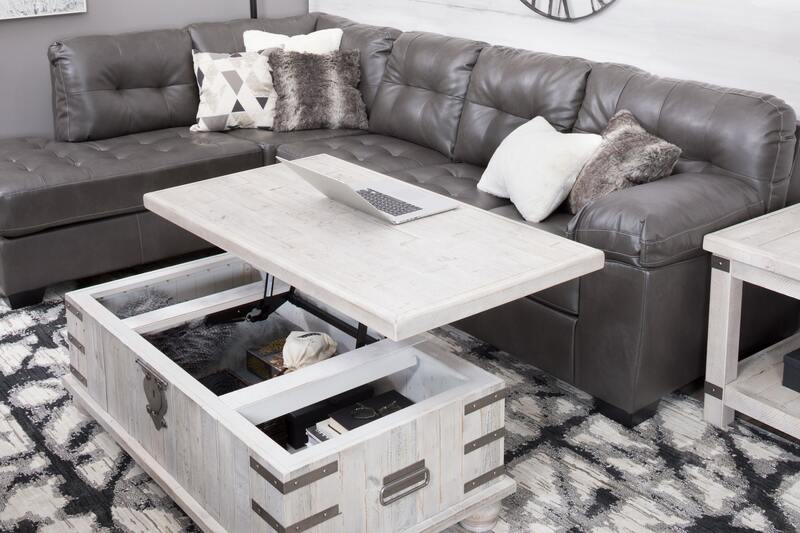 The lift top allows you to comfortably use the table as both a workstation during the day and a dining table when you want to eat while relaxing in front of the TV. A long and narrow entertainment center is a great way to add storage and a display area without sacrificing space. Depending on the entertainment center, they have a great mix of hidden storage behind doors or in drawers as well as open space that you can use to display home decor and more. 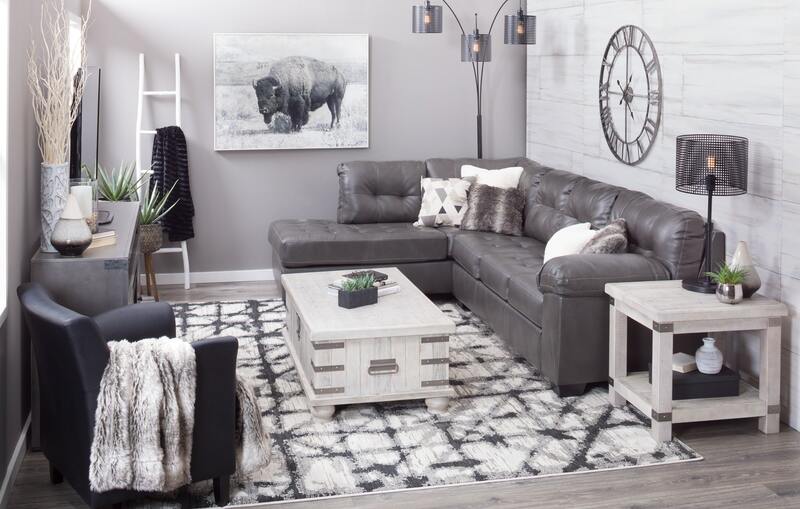 A sectional is a simple way to add a lot of seating to a room without wasting any precious space. Since most of the seating is consolidated into one space, you don’t have to leave room to walk around individual pieces like you would with a sofa, loveseat, or chair. Plus, modular options give you the opportunity to build the configuration that best fits your needs. Sectionals also frequently include consoles with practical hidden storage. 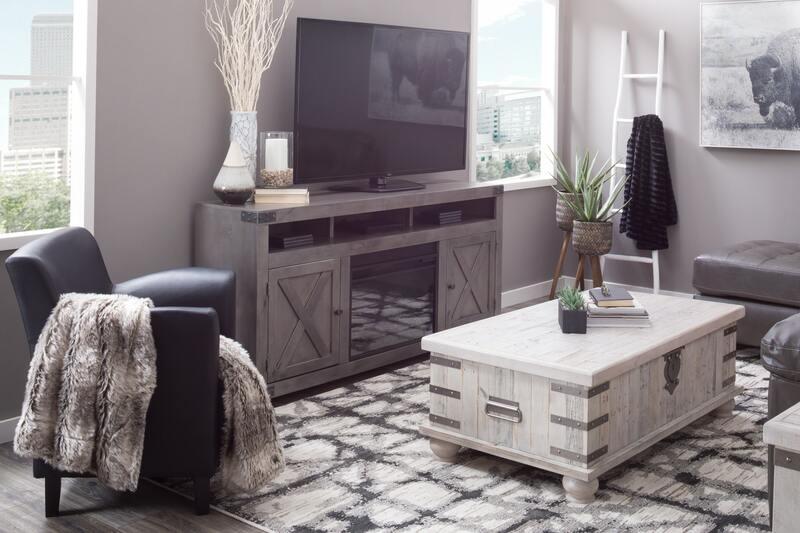 By choosing pieces like lift-top cocktail tables, narrow entertainment centers, and sectionals, you can get the most function out of your small space.